Ardent Concepts can construct, pour and erect all the Commercial Concrete works for a project, including foundations, retaining walls, raft slabs, suspended slabs, tilt-up panels, commercial car-parks and industrial crossovers. Our Tilt-Up panels are constructed on site. 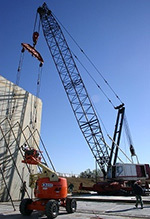 Tilt-up Panels are a very cost-effective and revolutionary construction technique. This method of construction offers our clients unbeatable value. 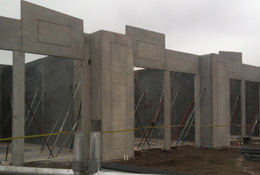 Ardent Concepts specialize in concrete tilt construction. Ardent Concepts also utilizes the latest technology in laser guided power tools on our commercial sites, in order to deliver the flattest floors on our commercial sites. We laser screed our large commercial slabs. 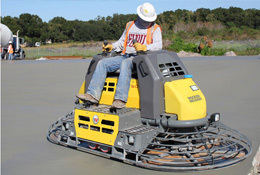 The laser screed works just like the power rake with a laser receiver which allows the screed surface to constantly adjust to the correct final floor elevation. 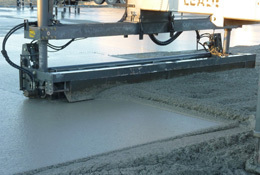 The use of a laser screed delivers the flattest floors. For large commercial carparks, a 3-D Laser screed is used to profile the concrete driveway to attain precise slope requirements. 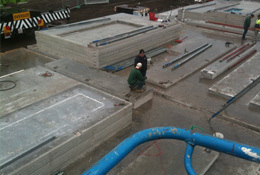 This method of slip forming can place concrete rapidly and precisely. Ardent Concepts has the experience, equipment and technology to build any Commercial or Industrial concreting construction, of the highest quality while remaining cost effective. Ardent Concepts Pty Ltd are experienced, professional and registered Commercial Builders. With over 25 years’ experience, Ardent Concepts specialize in the design and construction of Warehouses, Factories, Offices, Showrooms and all Industrial and Commercial projects.